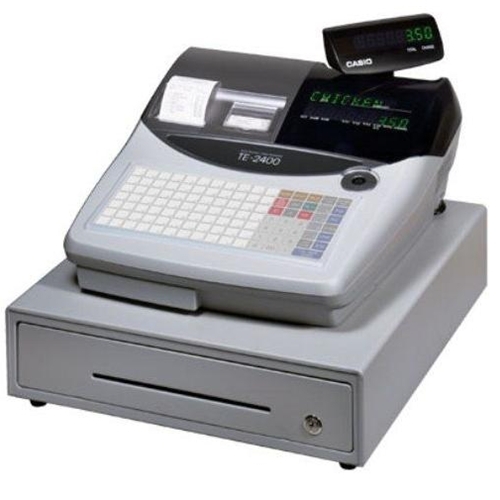 Casio TE-2400 is an electronic cash register. 70 flat programmable plu keys, alpha-numeric operator display, 12 character descriptor, pop-up rotary display and spill resistant keyboard. High speed thermal printers with drop-in paper loading. 5 bill/5 coin metal cash drawer with media slot.